What Does Elite Health Coaching Offer? Lowers stress – Everyday is filled with added stress. One way to combat that is to stretch and relax, focus on your breathing, holding each stretch for 10-30 seconds. Reduce body aches and pains – Ever wake up sore in the morning even if you didn’t do anything physically grueling the day before? Stretching regularly can alleviate every day aches and pains. Better muscle coordination – Having better muscle coordination will help improve your overall coordination, and avoid injuries. Increased energy – By stretching regularly, you will increase your blood flow. Increasing your blood flow will give you more natural energy, so you’ll rely less on artificial energy from sources like caffeine. Increase your range of motion – Increasing your range of motion will help lower your risk of injury and make it easier to complete day to day activities. Lower risk of injury – Being more flexible, with a wider range of motion, you’ll lower your risk of injury every day, including when you are exercising. Having an injury due to exercise can put you on the side line for a long period of time, flushing all your hard work and goals down the drain. Anytime that you are going to start an exercise routine, it’s best to consult your physician. Make sure to stretch all of your major muscle groups before and after exercising. Hold each stretch for 10-30 seconds and focus on your breathing. Don’t stretch the muscle to the point of pain though. If you do not have a regular exercise routine, try stretching for 30 minutes a day, 3 times per week. You can use stretching as a way to work into a more regular, more strenuous workout routine. In case you missed my original post about meal planning, I wanted to repost it! Lots of great information to help you get more organized. Gather your blank shopping list, calendar, and extra paper. On the calendar, write down any events coming up for the next week. If we have something going on where we won’t be home for dinner that night, I write it on the calendar. That way I know not to plan anything for that day. Ask the family if they have any suggestions for meals for the upcoming week. Getting them involved with the meal choices takes some of the stress of planning off of you and it also gives them a sense of responsibility by offering suggestions. Plus you know that they will be looking forward to at least one meal you are making. On a blank piece of paper, write down the days of the week that you need to make dinner for. On that paper, write down the suggestions that you have already received. I like to write down everything we are having with the meal. So if we are having spaghetti & meatballs, I’ll write that down along with any vegetables and rolls that will be included. This helps me keep track of the food I need to buy at the grocery store. Nothing is worse than going to the store, leaving with a cart full of groceries, then having to go back the next day to grab something else. 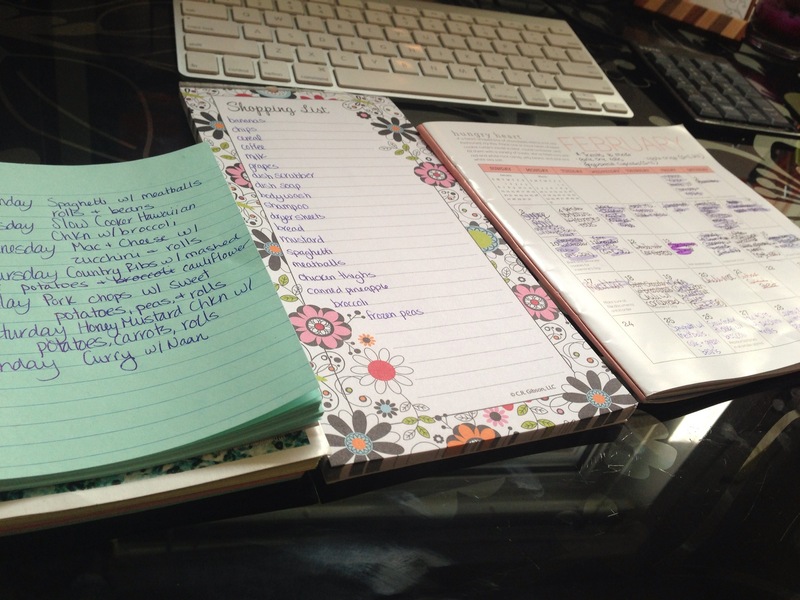 Once you have the suggestions written down, start filling in any additional days that you need meals for. I like to pull out recipe books, magazines, websites, etc. when I plan our meals. It helps keep our meals fresh by trying something new and allows me to be creative with someone’s help. I try to shoot for 1 protein, 1 fresh vegetable, and 1 whole grain per dinner. Once you have all of your meals planned out, start with your shopping list. I start with the first meal that I wrote down and work my way to the end so I don’t miss a meal or item. Don’t forget to check your fridge and cabinets for anything you may already have on hand. This will cut down on your grocery bill, so you aren’t buying multiples of an item you already have. When you get home, freeze any meat that you may have purchased that won’t be used until the end of the week to ensure it doesn’t go bad. On my shopping list, I will also go through and add any fruit I may need, breakfast & lunch items, along with any other things I may need. If you find yourself cooking rice often, a rice cooker may prove to be very useful. 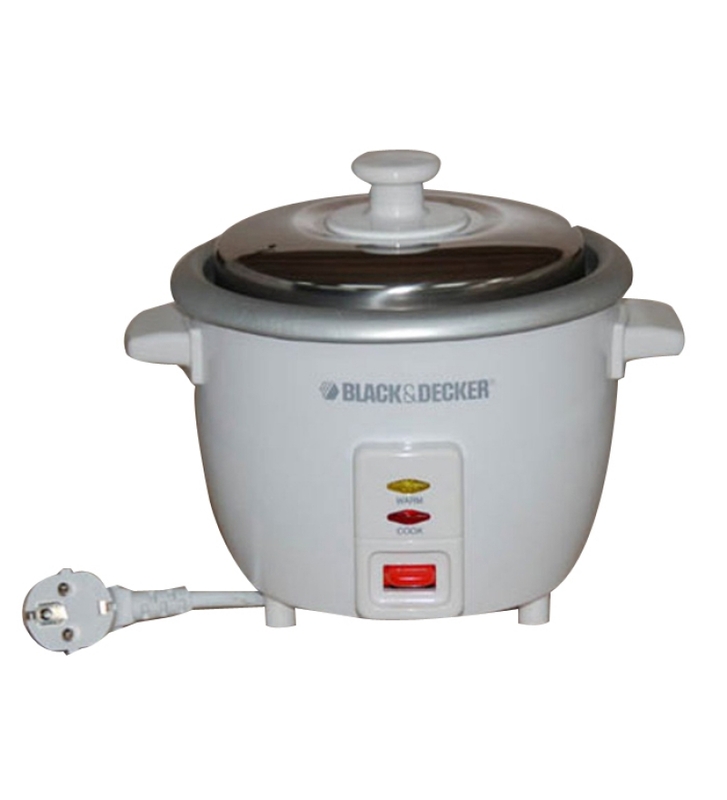 Rice cookers are available in stovetop or electrical models. They cook rice quickly and prepare it perfectly every time. The picture to the left is similar to the one that I have. I’ve owned mine for a few years now and it’s still in great condition even after using it 2-3 times per week. I’ve cooked jasmine rice, sushi rice, wild rice, brown rice, and black rice in mine and they’ve all turned out great! A stovetop stainless steel version should have an aluminum-encapsulated base for even heat distribution. It’s very similar to a double boiler, but has cutouts on the sides of the inner basket to allow the steam to penetrate the rice kernels. Volumes of steam cook the rice to perfection. An electrical model couldn’t be easier to use. Just add the rice and water and turn on. Also, almost all models have an automatic “Keep Warm” function to keep the rice heated until you’re ready to serve. Some rice cookers may come with a feature called “Fuzzy Logic.” These are the better models. “Fuzzy Logic” is a Japanese technology term for a built-in microchip that guarantees that the rice will never get overcooked. It is the only thing that separates the cheap from expensive rice cookers. It is well worth the extra money to get one with the “Fuzzy Logic” feature. Rice cookers come in sizes from 3-cups to commercial grade. We recommend purchasing an 8- to 10-cup size. This allows you to make enough rice to eat at more than one meal. One of the leading brands in rice cookers is Zojirushi. We found the best selection and prices on Zojirushi Rice Cookers at www.asiachi.com. You can also pick one up online at www.bedbathandbeyond.com or www.cooking.com. They range in price from around $60 to $250. Less expensive models can be found at www.target.com from $15. Are you looking for a supportive group to help you be accountable for your health and wellness? This is it!! With group coaching from Elite Health Coaching, you will be supported by a Certified Holistic Health Counselor along with other guests with similar goals.This will be a judgement free zone where you can talk about your goals and what may be holding you back. Weight loss groups are great because everyone is there for the same reason! You are supported not only by your Certified Holistic Health Counselor, but you are supported by your peers as well and you are able to provide support for them. This helps hold you accountable so you are less likely to fall off track and if you do, this format helps you get back on track without feeling judged or ridiculed. It’s a positive environment! For more information about group coaching, feel free to contact us at sadie@elitehealthcoaching.com. This program can be done in 12 weeks, 6 months, or 1 year depending on the needs and convenience of the entire group. Seasonal Detox Guide at Wholesale Pricing! 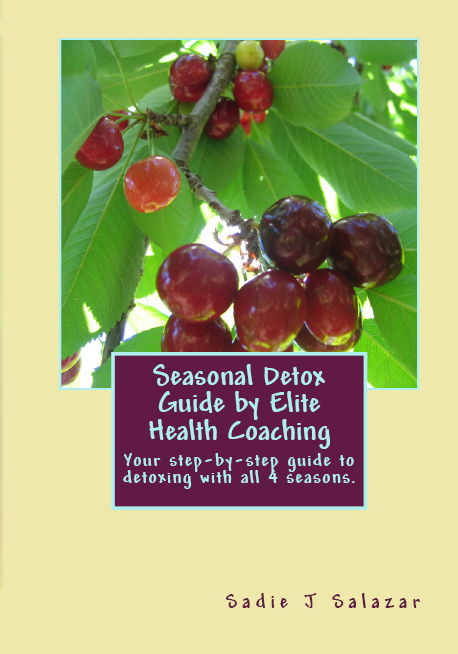 If you are interested in buying 10 or more Seasonal Detox Guides, please contact us for a discounted price! This is a great opportunity if you are a doctor, chiropractor, salon, etc. that wants to offer the book to your clients as well. Please contact us at sadie@elitehealthcoaching.com for pricing! 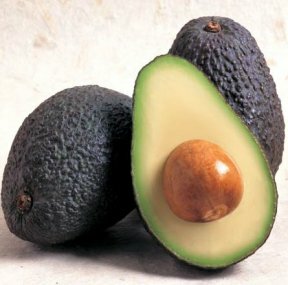 Read more about the Seasonal Detox Guide by Elite Health Coaching here!